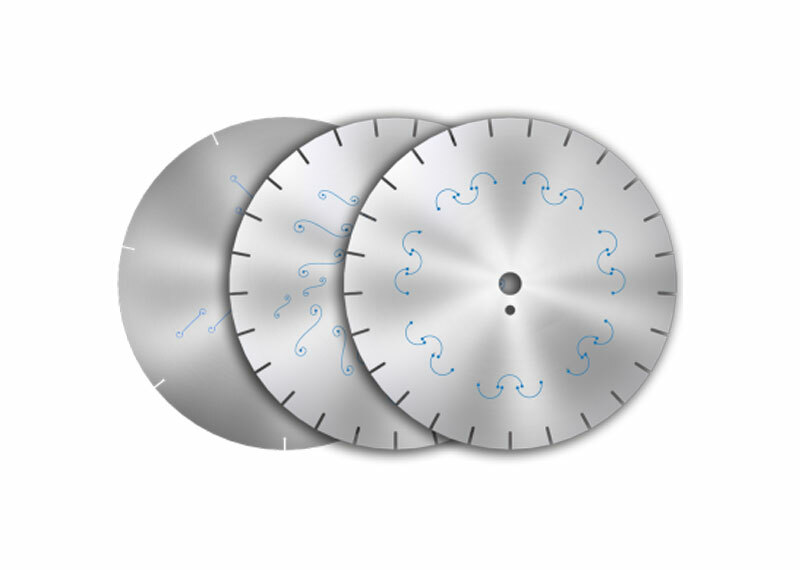 Western Saw Inc. silent cores feature laser cut epoxy filled silent slots that allow diamond blades to run quieter, cooler, and hold tension longer. All silent slots are custom designed and manufactured in a variety of patterns including Western Saw's propriety harmonic dampener. The silent core is almost as quiet as the sandwich core, with the benefit of longer life, easier to tension and may be re-segmented. 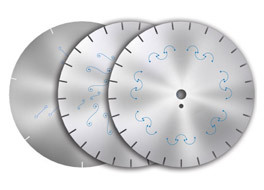 Western Saw silent core is cost effective with faster lead times than the sandwich silent core. Available in any land length you require and in all sizes from 7" to 84" in diameter and .025" to 1.000" in thickness with arbor sizes from 5/8" to 8". Reverse engineering services are available. Small or long production runs are accepted with short lead times and on-time delivery.